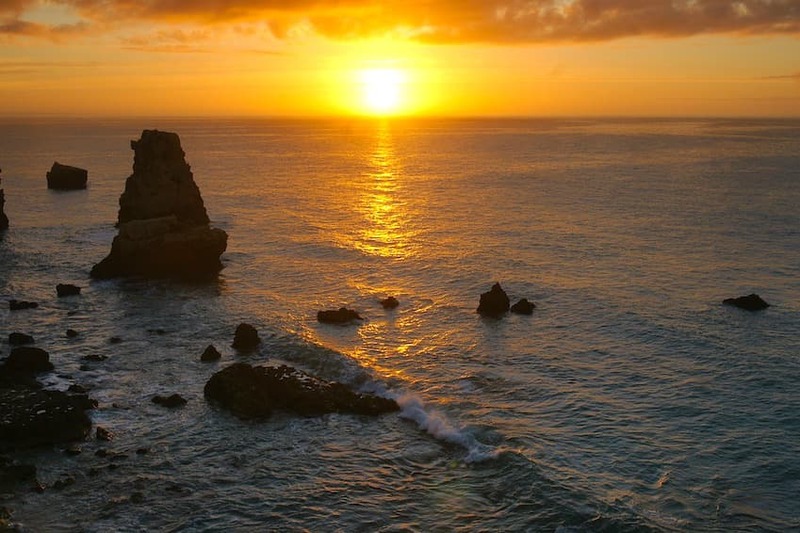 In harmony with the Atlantic Ocean, the Algarve is one of the most beautiful regions of Portugal. Wild and preserved, this region of southern Portugal fascinates with its golden sand, crystal clear waters and charming coves. From authentic villages of a thousand and one colours to vertiginous cliffs offering spectacular views of the ocean, the Algarve has a lot to offer. 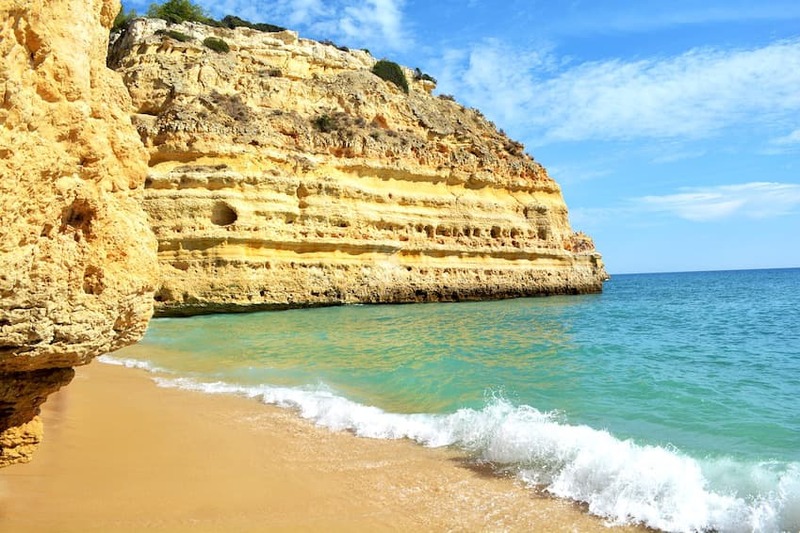 To enjoy the sunny climate all year round, we invite you to stroll along the sandy beaches and dive into the blue waters of the most beautiful beaches of the Algarve. Ready? Embark! 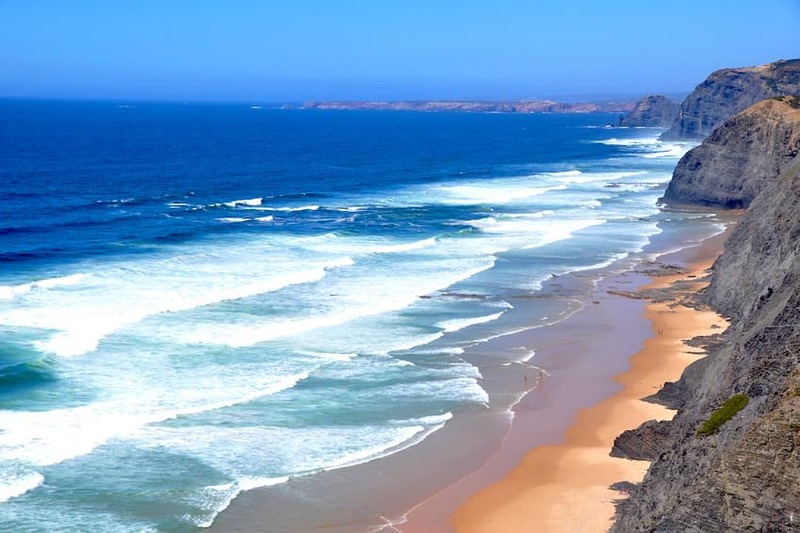 One cannot list the most beautiful beaches of the Algarve without mentioning the Praia de Odeceixe, elected among the seven wonders of Portugal. If the perched village of Odeceixe seduces visitors with its prevailing charm, white buildings and cobbled streets, the beach of the same name looks like a fairytale. Located at the mouth of the river Seixe, Praia de Odeceixe seems straight out of a movie set. Surrounded by cliffs, trees and shrubs, this beach is wild and extremely well preserved. Between a river and the Atlantic Ocean, the Praia de Odeceixe offers the choice between swimming in the sea or river. In this sense, it is ideal for a family excursion. If you like watersports, you can even go boating or canoeing on the Seixe River, not far from Odeceixe. In the municipality of Aljezur, not far from the charming village of Carrapateira, is Praia da Bordeira. 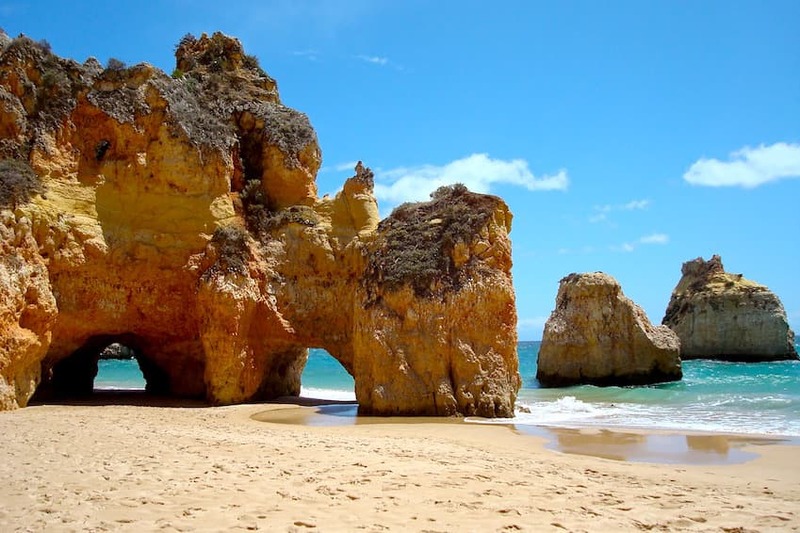 With its bordering jagged cliffs, this beach is one of the largest and most beautiful in the Algarve. It is an especially delightful haven of peace in summer. Natural and tranquil, Praia da Bordeira delights with its rocks at low tide on which you will love climbing to admire the view. The beach is also a fantastic spot for all watersports enthusiasts. 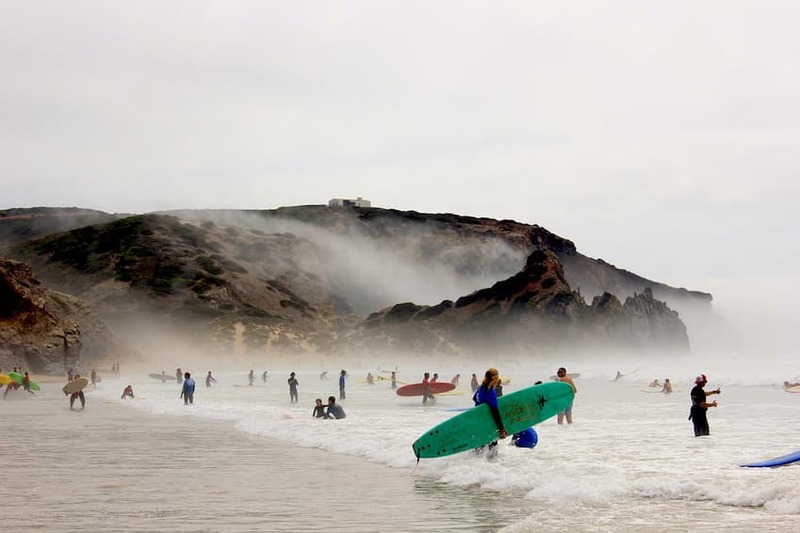 Indeed, the wind is strong here, which makes Praia da Bordeira a place that is sought out by all those who practice surfing, paddle boarding and bodyboarding. At this beach, a small river also forms a beautiful lagoon where your children can wade safely. More touristy than the previous ones, Praia da Rocha is nevertheless worth seeing. Indeed, this immense expanse of sand amazes its visitors with its clear waters, its jovial atmosphere and its bars that offer incredible views of the Atlantic Ocean. 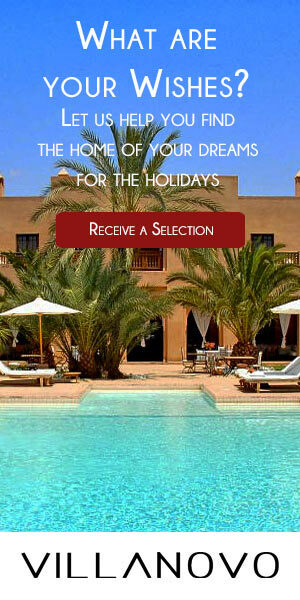 Here, the most fortunate clientele of the Algarve congregate, giving Praia da Rocha a luxurious and tranquil character. If you want to have fun in the Algarve, then you are in the right place! At Praia de Rocha you will find plenty of restaurants, bars and nightclubs to dance until the early hours. If you are travelling with your children, the Praia da Rocha offers activities to entertain both young and old. Among them, do not miss the dolphin watching and a boat trip along the coast. The Zoomarine water park is also worth a visit. In a secluded corner of nature, Praia da Marinha is still wild. Often considered one of the most beautiful beaches in the world, this beach is located near Lagoa, a city known for its efforts to protect the environment. 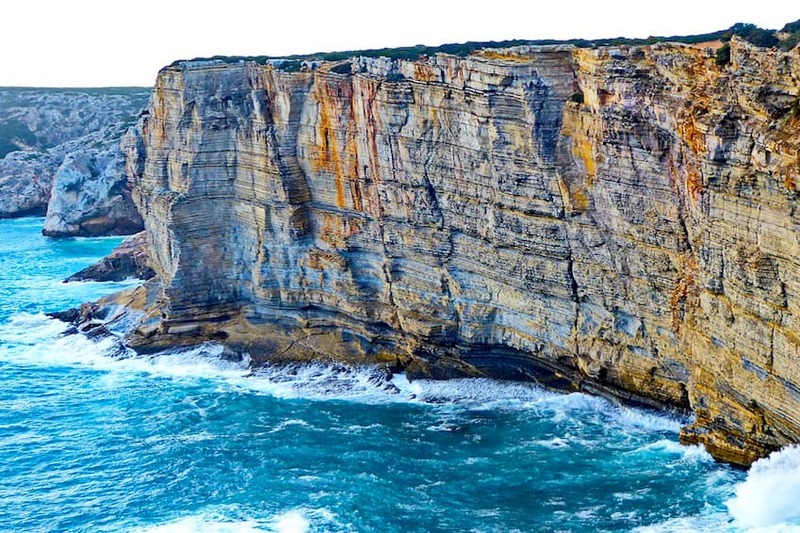 With its picturesque cliffs, this beach amazes visitors with its natural beauty. Before descending to swim in the clear waters, we recommend stopping to admire the view of the imposing rocks and the natural tunnels. It is also an opportunity to take beautiful travel photos! Be careful however, this beach is more and more popular with tourists, especially in summer. Make the most of Praia da Marinha in the off season or put down your beach towel in the early morning to be sure to enjoy this magical place. The beautiful Algarve region of Portugal is bordered by the Rio Formosa lagoon. We can observe different bodies ​​of sand surrounding this magical coastline. Among them is the Ilha de Tavira. Accessible only on foot, this island has a wild and unspoilt side that will delight all nature lovers. Your efforts will be rewarded once you set foot on this land of golden sand. On the island, we advise you to extend the walk to Praia do Barril, where the tuna fishermen had once taken up residence. Over time, the beach has remained authentic and the remains of the past are now part of the landscape. Among others, there is a cemetery of marine anchors that pays tribute to the old fleet of fishing boats from the beach. Take advantage of this dream setting and go on a small family walk where you can observe the flora and fauna of Praia do Barril. Look out for crabs of all sizes amongst the seaweed! From its red rocks to its steep cliffs, Praia do Amado is a haven of choice if you want to enjoy the beautiful beaches of the Algarve. One kilometre long, Praia do Amado is located at the southern end of Carrapateira. The area is renowned for being one of the most beautiful surf spots in Europe. Indeed, the site enjoys long stretches of sand and large waves that will delight all watersport fans. Many surf schools are also present on Praia do Amado and organise courses for both beginners and the more experienced. If you prefer to stay on dry land, Praia do Amado is also an excellent choice for lovers looking for a quiet place to meet. Beautiful and secluded, this beach allows you to share beautiful moments with friends and family while enjoying the beauty of natural landscapes. Finally, head to the southern tip of Portugal. Here is the Ilha da Barreta, also called Ilha Deserta, which means "desert island". This island is a little piece of paradise that is part of the Rio Formosa Natural Park. Stretching for about 11 kilometres, Ilha da Barreta can be reached by ferry from Faro Marina. During the trip, which is only possible between June and September, you can observe many species of birds, all more beautiful than the next. 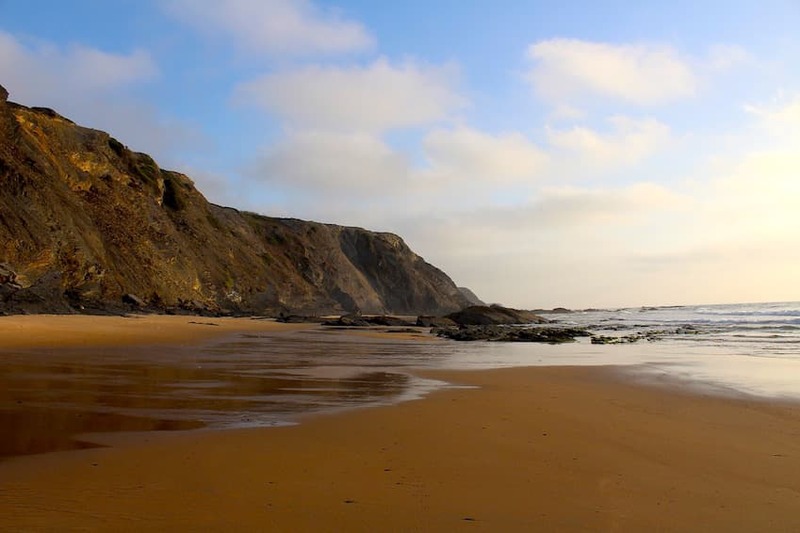 With amazing water, wild beaches and sand dunes, Ilha da Barreta is absolutely essential on your itinerary. Once you have arrived on this isolated and preserved corner, you will not want to leave again! Take the opportunity to swim in these clear waters and observe the abundant flora and fauna on the island.